This one is for all the folks out there who worry about what will happen if you make more money. I’m here to tell you: it’s going to be fine, you can go ahead. This fear comes from negativity bias: a bias to be more fearful of the perceived negative impacts rather than the positive impacts of an action. And, it keeps a lot of people from accessing the positive impacts of increasing income. Worried Person: If I make more money, my student loan payments will go up and I’ll have to pay more taxes. Therefore, I should not make more money. Yes and, it will still work out. Let’s break this down by the numbers. Say you got a side gig and your income went up $500 / month. (worst case scenario) Student loan payment increase (guesstimate) Additional money you still have afterwards. In a worst case scenario, $200 would go to taxes, and say for example $100 went to student loan payment increases. You still have $200 more dollars in your pocket as a net gain. That’s $2,400 in a year. Say you get a new job and switch fields or hack your salary negotiations and your income goes up $1,500 / month. In a worst case scenario, $500 would go to taxes and $400 goes to a student loan increase. You still have $600 more bucks in your life each month, or $7,200 a YEAR. That’s meaningful dough, my dudes! Avoiding making more money based on the perceived cost is a classic example of how we’re not rational, logical actors but instead are emotional ones. A computer would map out cost vs benefit over time, but a human doesn’t necessarily do that. We get attached to feelings and go with what they suggest. 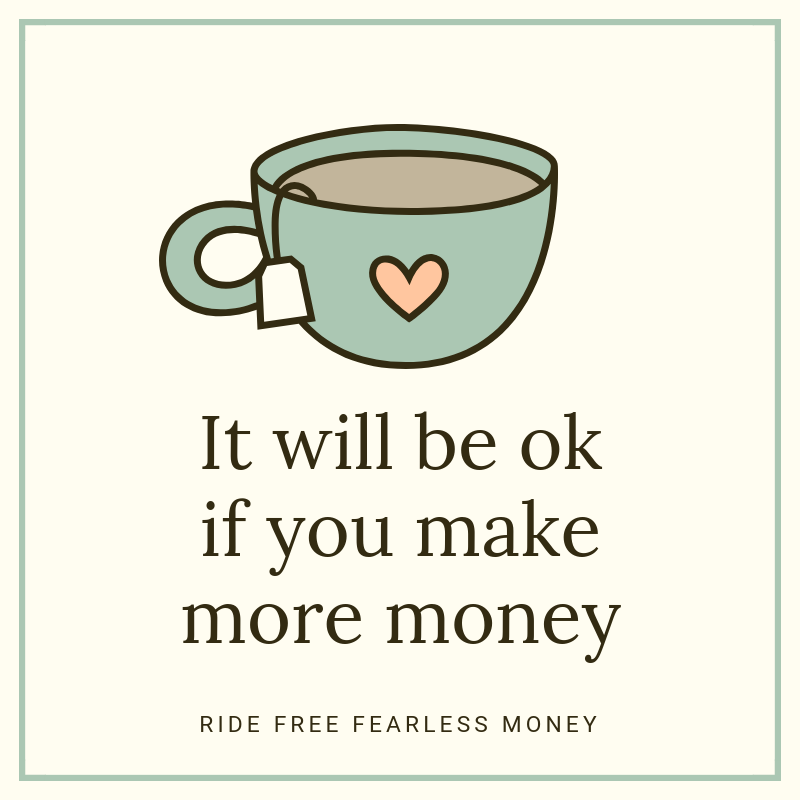 If your core fear for years has been avoiding or reducing costs, and your emotional reaction stops your analysis of increasing your income once you realize the costs, then yeah your decision will be not to increase income. But, what if you took the next step in understanding the benefit? What if you also added up the increased money in your account over time – might that work to give you a positive to make it meaningful? The other part of this worry, I believe, is fear of change. Making more money often means taking action to change your job, add a side gig, inform clients your rates are going up, etc. There are a few instances in which you’d want to seriously map out if making more money has other negative impacts, where someone is genuinely discouraged from increasing income: if you’re on disability and aren’t allowed to earn income, or if your housing is tied to an income level you’ll need to possibly ensure that your new earnings covered the larger costs incurred. For people who haven’t had this particular block, I suggest you empathize with people in this situation, because it is common. For example, negativity bias can play out in one’s decision not to invest “because every 10 years the market goes down”, even though over an 15 year period that market has always gone up. The fear of negative impact has a powerful hold on us.